During the National Rap Session in Houston today, NALC President Fredric V. Rolando formally announced the new name of NALC's political action committee (PAC). The name change comes as a result of an effort that began at the NALC convention in 2014, where hundreds of letter carriers submitted proposed new names for the former Committee on Letter Carrier Political Education (COLCPE). Ultimately, the Letter Carrier Political Fund, a name submitted by Levittown, PA Branch 4973 member Lee Sciarra, was selected. "I thank everyone who took the time to offer feedback and ideas," President Rolando said. "Leeâ€™s entry was a win-win suggestion, giving our PAC a name and identity synonymous with who we are and what we do for a living." "Our Government Affairs team is working on a number of initiatives to improve the effectiveness of our grassroots and lobbying efforts and to increase overall involvement on NALC members on the legislative and political fronts," the president said. "Rebranding our PAC is just the beginning." Note: Even though the PAC has a new name, if you're already an active contributor, you don't have to make any changes. How do I become a PAC member/contribute to the PAC? Senate considers Postal Board of Governors nominations: On Wednesday, the Senate Homeland Security and Government Affairs Committee (HSGAC) addressed several issues in its final business meeting before Congress' August recess, including the pending nominations of four Postal Board of Governors members. The nominees are James Miller III, Stephen Crawford, Michael Bennett and Victoria Kennedy. Click here to read more. Postal banking bill introduced in House: On July 15, Rep. Cedric Richmond (D-LA) introduced the Providing Opportunities for Savings, Transactions and Lending Act (POSTAL) Act, H.R. 5179, to allow USPS to offer basic financial services, including checking accounts, interest-bearing savings accounts and money transfers, and to allow the Postal Service to partner with private banks to offer these services. In addition, the legislation would create a "Postal Card" that would serve as a debit card for postal banking customers. Click here to read more. 'Wounded warriors' bill introduced in House: On Tuesday, House Subcommittee on the Federal Workforce and U.S. Postal Service Chairman Blake Farenthold (R-TX) and Ranking Member Stephen Lynch (D-MA), along with House Oversight and Government Reform Committee Ranking Member Elijah Cummings (D-MD), and Rep. G. K. Butterfield (D-NC), introduced the Wounded Warriors Federal Leave Act, H.R. 5229. Click here to read more. One hurdle remains for Sombrotto Post Office naming: Today, the Senate approved H.R. 2291, the bill to rename Manhattan's Grand Central Station Post Office after former NALC President Vincent R. Sombrotto. Click here to read more. Recess is the best! Today, the House and Senate will head home until after Labor Day, returning on Sept. 8. At this writing, the House was still in session to deal with some unfinished business, but it was expected to recess before the weekend. Click here to read more. Update: House floor activity on FSGG next week: On Monday, the House will begin consideration of the Fiscal Year 2015 Financial Services and General Government (FSGG) appropriations bill, H.R. 5016, with a vote expected by Wednesday. In preparation for this House floor activity, the House Rules Committee met to determine the process for floor consideration of H.R. 5016, which passed the House Appropriations Committee at the end of June after a successful battle to have six-day mail delivery language reinserted. As expected, Rep. Darrell Issa (R-CA), the chairman of the House Oversight and Government Reform Committee, submitted a letter to the Rules Committee requesting removal of two postal provisions (six-day mail and a multinational stamp program) claiming jurisdictional authority by his committee-Washington speak for "Get out of my sandbox." In the end, after extensive lobbying efforts, the Rules Committee rejected Issa's request regarding six-day and it was withdrawn. This small victory against Chairman Issa's repeated attempts to do away with six-day mail delivery was accomplished in no small part due to the ongoing efforts of NALC activists, who always stand ready on defense. But as you know, there are no guarantees on the House floor, and we must prepare for potential floor amendments that will inevitably be offered, since the Rules Committee agreed to a "modified open" rule, which subjects the bill to the amendment process. With at least 225 supporters of six-day mail from both parties, we feel good about our chances-but we must prepare our defense. Typically, amendments are filed with little notice, so we must be ready for potential amendments and to mobilize quickly. Please be on the lookout for calls to action from the NALC. Sombrotto Post Office: The House is scheduled to vote on a number of post office namings next week, including H.R. 2291, to designate a Manhattan post office in honor of former NALC President Vincent R. Sombrotto. With luck, we could have this great honor to celebrate at the convention in Philadelphia! * Fairly recalculate the USPS surplus in the Civil Service Retirement System (CSRS) using a methodology that uses fairness and equity by using an employee's high three salary when computing the annuity. * Would return assets paid for by RATEPAYER and EMPLOYEE contributions (not TAXPAYER funds) to the Postal Service's sub-account in the CSRS. * Once the accurate "postal surplus" is determined by the Office of Personnel Management (OPM), the agency would then have 90 days to write regulations with directions for how and when these funds will be transferred to the Postal Service Retiree Health Benefit Fund (PSRHBF). * This legislation does NOT repeal or in any way address the legally mandated pre-funding payments into the PSRHBF, it simply fixes the massive over-funding to the Postal CSRS account and transfers it to the PSRHBF. Additional legislation would be necessary to repeal the scheduled pre-funding payments to the PSRHBF in the future. * The date of transfer for the overpayment is less important than the acknowledgment by Congress and the OPM that the USPS has sufficient assets to cover all their retirement obligations; the Postal Service already has $37 billion in its PSRHBF and can access that until which time they would need the transfer to occur. Expressing the sense of the House of Representatives that the United States Postal Service should take all appropriate measures to ensure the continuation of its 6-day mail delivery service. 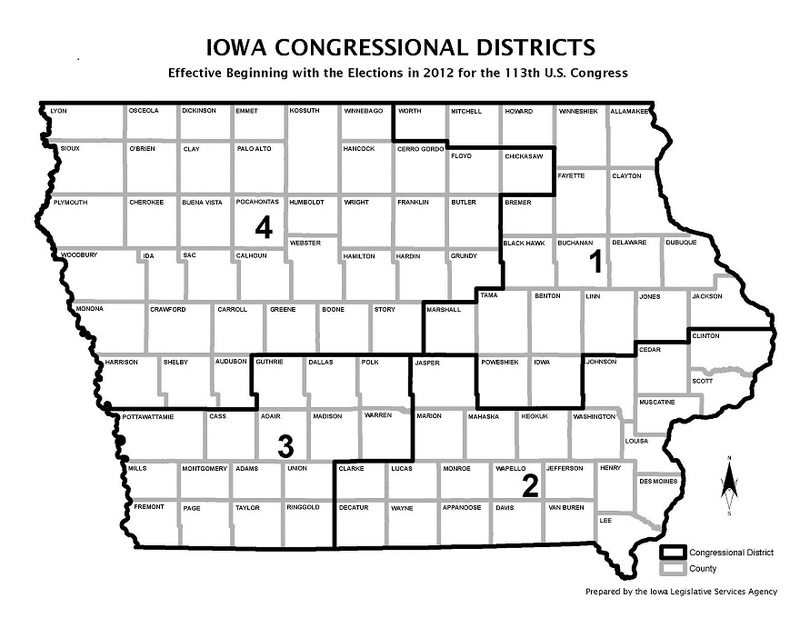 Currently the following Iowa Congressman have signed on as Co-Sponsors; Bruce Braley IA-1st, Dave Loebsack IA- 2nd, Leonard Boswell IA-3rd, Tom Latham IA-4th. "No one needs to tell Americaâ€™s families that unemployment and underemployment are at crisis levels. We need jobsâ€”and we need them now." Congressmen Bruce Braley, Dave Loebsack, Leonard Boswell and Senator Tom Harkin are currently co-sponsors of the Employee Free Choice Act. I urge you to contact Senator Grassley, Congressmen Tom Latham and Steve King and ask them to sign on to this legislation. I'm proud to announce that as of today, March 10, 2009, Iowa Congressmen Bruce Braley, Dave Loebsack, Leonard Boswell and Tom Latham have signed on as co-sponsors of this important legislation. Congressman Steve King, how about you? H.R.22 - A bill to amend chapter 89 of title 5, United States Code, to allow the United States Postal Service to pay its share of contributions for annuitants' health benefits out of the Postal Service Retiree Health Benefits Fund. President Mark Fallis and Vice-President Jim Beach have been working with State Legislative leaders concerning Vote By Mail legislation. We are happy to announce that Sen. Mike Gronstal and Rep. Pat Murphy both enthusiastically support, and look to take legislation forward in the near future.